The ability to harness energy has been essential to life since the start of humanity. This ability, of course, has come in many different forms and has gone through massive transformations over the centuries. In the 18th and 19th centuries, coal fired the steam engine — arguably the most vital technology of the Industrial Revolution. It was the discovery of oil that allowed the revolution to flourish even further in the late 19th and early 20th centuries, in essence altering civilization. Today, there is little we do without using some form of energy. Energy is necessary for the production of food and water. Energy moves us from place to place — be it by car, train, airplane or other modes of transport. In the form of electricity it heats and cools our homes, it provides our light, it turns our machines on and it allows for instant communication between people on opposite ends of the globe with a push of a computer button. In short, it powers life as many people in the world know it. There is increasing evidence, however, that the era of cheap, easily available energy is coming to an end; it may be time for another transformation that will harness new forms of energy to power our lives. Most of the energy the world consumes comes from non-renewable fossil fuels. Although we can never know the precise quantity of fossil-fuel reserves that remain, and although estimates of available reserves of each type vary greatly, it is clear that it has become more difficult to locate and to access previously undiscovered reserves of oil, and it is generally believed that we are nearing or already have reached “peak oil” — when the global production of crude oil peaks. As resources are depleted, extraction costs will become higher, and production will gradually decline to zero. With demand for energy projected to increase significantly, it is vital that new sources of fuel be found. The need for alternatives to fossil fuels is not merely an issue of supply and demand. The environmental problems inherent in the extraction, transport, production and disposal of fossil fuels make the push to find a safer method of generating energy an imperative. These problems include air pollution and emission of carbon dioxide and other greenhouse gases that cause climate change, water pollution, acidification, damage to land surface, and damage to ground-level ozone. Other concerns associated with the life cycle of energy use include, but are not limited to: oil spills and intentional oil dumping operations that pollute water; dams necessary for hydroelectric power that wreak havoc on natural ecosystems and spread disease; release of sulfur dioxide and nitrogen dioxide during coal burning that contributes to acid rain; degradation of the natural environment that occurs during oil and natural-gas prospecting and drilling; extensive damage to and contamination of land from coal mining; and loss of human life when coal miners are killed in underground explosions and die from lung diseases. Other compelling reasons for the search for alternative-fuel sources include the quest for energy independence and the rising price of oil. A secure and affordable supply of energy is critical for any nation, and heavy dependence upon costly foreign fuel sources could potentially threaten that supply. Renewable energy — energy that can be replenished and sustained indefinitely — could be one solution to coping with these aforementioned issues. The main sources of renewable energy are the sun, wind, biomass, water and geothermal heat produced inside the Earth. These sources are generally considered clean, as they do not produce air pollution or greenhouse gases when electricity is generated from them. Renewable energy can often be produced locally, using local resources. It is also often decentralized, thus less vulnerable to a major attack that can cause a major power outage. Renewable energies, however, account for less than 1 percent of Israel’s energy supply. Following is a review of Israel’s energy policy, and some of the issues surrounding implementation of renewable energy in Israel. Israel is a small country with a population of 7.7 million and a total area of about 22,000 square kilometers, excluding the West Bank and Gaza Strip. The population is growing at about 1.9 percent annually. In 2009 Israel’s gross domestic product was $205.8 billion in purchasing-power parity exchange rates — the sum value of all goods and services produced in the country valued at prices prevailing in the United States — a result of a growth rate of about 5 percent per year from 2004 to 2007, and then 4 percent in 2008. The global financial crisis that began in 2008 affected Israel as well, with the gross domestic product growing only 0.5 percent in 2009. Between 1999 and 2009 the aggregate demand for electricity in Israel grew at an average annual rate of 3.6 percent, nearing the average annual rate of growth of the country’s gross domestic product during the same period. More than 99 percent of electric power in Israel is provided by the Israel Electric Corporation, a government-owned, regulated near-monopoly that classifies its customers as residential, commercial, agricultural, industrial, water pumping and the Palestinian Authority. The company is an integrated utility that generates, transmits and distributes nearly all the electricity in the State of Israel. It also builds, maintains and operates its power generation stations, sub-stations and the transmission and distribution networks. It is one of the largest industrial companies in Israel, with total revenues of $5 billion, a net income of $328 million and total assets of $21.1 billion in 2009. In addition to the electricity generated at its power stations, Israel Electric Corporation purchases very small amounts of electricity from private electricity producers, amounting to about 260 million kilowatt hours of electricity, or about 0.5 percent of the total supplied by the company. Some private electricity producers sell all their electric output to the Israel Electric Corporation, while others generate electricity for their own use and only sell their surplus production to the utility. At the end of 2009, the Israel Electric Corporation served about 2.5 million customers, with a total electricity demand of about 49,000 gigawatt hours, compared to the 2.07 million customers who used about 34,000 gigawatt hours of electricity in 1999. This massive hike in demand for electricity is a result of both the population growth and the strong economic growth of the country. Installed generating capacity by the end of 2009 was 11,664 megawatts. Power demand topped 11,200 megawatts in August 2010, coming close to the utility’s capacity and forcing it to ask Israelis during peak hours to avoid using appliances, such as air conditioners, that consume high levels of electricity. To meet increased demand, the Ministry of National Infrastructures — today the Energy and Water Resources Ministry — approved a 9.2 billion-shekel emergency plan to accelerate the development of generation capacity. The goal is to increase Israel Electric Corporation’s generation capacity by 1,765 megawatts by 2013, with financing coming from loans and the electricity tariff. Coal is the main source of Israeli electric power, with most of the country’s base-load electricity — the minimum amount of power the utility must make available to its customers — generated at the Israel Electric Corporation’s Rutenberg power plant in Ashkelon and Orot Rabin plant near Hadera. The secondary fuel at both plants is oil. In 2009, coal generated 64.7 percent of Israel’s power, a reduction from 70.9 percent in 2006. Israel has none of its own coal, and imports its coal from the global market, including South Africa, Colombia, Indonesia and Australia. For the most part, Israel is not dependent on oil for non-vehicle power. In 2009, only 1.6 percent of the country’s electricity was generated by diesel oil and a scant 1.1 percent generated by fuel oil; that number, however, could rise due to disruptions in natural-gas supply. Israel does depend on oil for transportation and for raw materials for industry. Israel consumed about 231,000 barrels of oil per day in 2009, making it the 52nd-largest oil consumer among world countries. In the 1960s and 1970s Israel bought its crude from Iran, but that ended with the Iranian Revolution in 1979. Israel also tapped wells in the Sinai Peninsula after capturing it during the 1967 Six Day War, but Sinai ceased to become an Israeli source for oil after Israel signed its peace agreement with Egypt in 1979 and returned the peninsula to its southern neighbors. More recently, much of Israel’s oil has come from former Soviet states. It also buys some oil from Chad, Angola, Mexico and Norway. Israel began using natural gas as part of its fuel mix in 2004, and has been increasing its usage since, driven by the need to diversify the country’s fuel mix, increase its generation capacity, and to maintain a low cost structure and a limited pollution level. Natural gas accounted for the production of 32.6 percent of Israeli power in 2009. In contrast to its coal and petroleum supplies, Israel has significant proven domestic reserves of natural gas, as well as unproven reserves. Currently, the Israeli government officially purchases its natural gas from two sources. The first and largest source is a consortium called Yam Tethys, comprised of Israeli-based Delek Drilling and Avner Oil Exploration (both subsidiaries of Delek Energy Systems) and Texas-based Noble Energy. The fuel comes from two gas fields off the Israeli coast of Ashkelon, Noa and Mari-B, with proven reserves of about 32 billion cubic meters. Those reserves, however, are expected to be depleted by 2013. More than half the production of these gas fields is committed to the Israel Electric Corporation; the remainder is sold to private Israeli clients. Israel’s second official source of natural gas is East Mediterranean Gas Co., a private company registered in Egypt. From 2008 to 2011, the company had been supplying about 40 percent of Israel’s natural gas, however, since the Egyptian Revolution there have been multiple supply interruptions due to both saboteurs and political tensions. There have been no disruptions in power in Israel as a result of the shipment freeze, but the Israel Electric Corporation has spent millions of dollars over its budget and was forced to burn more polluting and expensive fuels such as oil and diesel to make up for the loss of natural gas. There are, however, more Israeli sources of natural gas scheduled to become available in the coming years. In 2009, the Tamar natural-gas field was discovered off the Mediterranean coast. It is estimated to be five times as large as the previously found fields. A smaller reserve was since found nearby at the Dalit concession, and in February 2010, the discovery of Leviathan, another deep-sea natural-gas site, was announced. About 130 kilometers off the coast of Haifa, Leviathan is estimated to cover about 325 square kilometers, twice the size of Tamar. As previously noted, renewable energies are barely utilized in Israel, despite the fact that there are more than 100 renewable-energy companies in Israel and that the country is considered a leader in the development of renewable energy technology. It’s also in spite of an Israeli government resolution calling for renewable sources to supply 5 percent of Israel’s electricity needs by 2014 and 10 percent by 2020. Solar energy was already the subject of research at both the Hebrew University of Jerusalem and the Technion — Israel Institute of Technology. Ben Gurion recruited Dr. Harry Tabor from England to join the Research Council, where Tabor developed new materials for trapping heat to power solar water heaters. In 1953, engineer Levi Yissar founded the NerYah Company, the country’s first commercial producer of solar water-heating systems. By 1967, some 50,000 such systems were sold in Israel, representing about 5 percent of Israeli homes. Israel’s victory in the 1967 Six-Day War briefly made it a self-sufficient oil power through its seizure of Egypt’s oil fields in Sinai, but the conquest devastated the solar industry that had slowly begun to take shape. Fortunately, interest was sparked again following the return of the Sinai oil fields to Egypt after the Camp David Accords were signed. Throughout the 1970s and 1980s, the government supported various types of solar-energy research at several academic institutions, most notably the Technion, the Weizmann Institute of Science, Tel Aviv University and Ben-Gurion University of the Negev, where the National Solar Laboratory was established. However several private-public partnerships created failed, either because they were deemed not financially viable or because the government stopped funding them. Government-funded academic research during this time nevertheless resulted in several Israeli advancements in the field of solar energy, including solar ponds — saltwater pools that collect and store solar thermal energy — and parabolic-trough technology, which uses mirrors to concentrate sunlight on heat-transfer fluid, which subsequently is used to heat steam to turn an electricity-generating turbine. In the mid-1980s, the Israel Electric Corporation researched photovoltaic and hybrid systems, specifically focusing on large photovoltaic central stations, small grid-connected photovoltaic systems, and battery-lined renewable-energy systems applications. In 1987 the then-minister of energy and infrastructure — the ministry has since changed its name at least three times — inaugurated the Ben-Gurion National Solar Energy Center, formerly known as the Ben-Gurion Solar Electricity Technologies Test Center. Four years later, the center’s operation was entrusted to Ben-Gurion University’s Jacob Blaustein Institute for Desert Research. In 1980, seven years after the OPEC embargo of Israel and one year after the Iranian Revolution resulted in the decade’s second oil crisis, the country passed its first solar-energy legislation, aimed at making the state less dependent on foreign oil. The first of its kind in the world, the Israeli law required new residential buildings up to 27 meters high to install solar water heaters. Today, Israel is the world leader in solar water-heating use. With some 95 percent of Israeli households using solar water heaters, the country produces most of its domestic hot water from them, reducing the country’s primary energy consumption by an estimated 3 percent. This, however, was the last legislative policy to date that resulted in widespread domestic use of renewable energy. Although solar technologies developed by Israeli companies were not being used in Israel, they were exported for international use. For example, in 1984 Luz Industries Israel developed and built nine solar-energy generating stations in California’s Mojave Desert. But low-priced oil and shifting U.S. government priorities felled Luz, and the company declared bankruptcy in 1991. The company has been reincarnated as BrightSource Industries. Another Israeli company, Ormat, has become a world leader in the design and installation of electricity-generating equipment for low-temperature heat, mainly geothermal and industrial waste heat. Ormat has installed clean-energy power plants in more than 20 countries, including the United States, but not in Israel. In 1995, ConSolar, an Israeli industrial and academic consortium, was established under the auspices of the Ministry of Trade and Industry — today known as the Ministry of Industry, Trade and Labour. The objective was to develop applicable concentrated-solar technologies for future commercial applications. But the government-supported development program was discontinued in 2001. In March 1996, the Electricity Sector Law came into effect with the objective of reorganizing the sector and ending Israel Electric Corporation’s monopoly over power generation, supply and distribution. The law allowed independent power producers to enter the electricity market and produce up to 20 percent of the overall installed capacity. The expectation was that increased competition would allow small and clean producers to sell electricity to the distribution system, and would accelerate Israel’s move to clean energy. The legislation paved the way for a series of government resolutions and regulations to be written between 1997 and 2004, largely aimed at issuing and regulating generation licenses to independent power producers. Despite this, nearly 100 percent of electricity generation remains in the hands of Israel Electric Corporation. Of those few companies that did apply for independent power-producers licenses, natural gas and diesel were the preferred fuels; very few applications came from potential renewable-energy producers. Those that might have done so said difficulties in securing land rights and building permits to develop power plants remained major barriers, despite the new law. The law also established the Public Utilities Authority Electricity to set rates for each service and to regulate the quality and level of service of each license holder. In May 1996, Israel became a party to the U.N. Framework Convention on Climate Change and established the Inter-Ministerial Committee on Climate Change, which included representatives of government ministries, industries and non-governmental organizations. The committee was charged with formulating a national greenhouse-gas reduction policy and with preparing a report on the country’s greenhouse-gas emissions, policies, measures and future forecasts. Israel was not officially obligated by the convention to reduce its greenhouse-gas emissions because it was not classified as a developed country, but all parties to the convention committed to formulating and implementing climate-change mitigation and adaptation programs. Two years later, Israel signed the Kyoto Protocol and ratified it in February 2004. Despite Israel’s classification as a developing country, the Israeli government said it would “undertake activities to reduce greenhouse-gas emissions.” As a Kyoto signatory, Israel was able to benefit from the Clean Development Mechanism established by the protocol, allowing developed countries to financially support and receive credit for projects that reduce emissions in developing countries. The Clean Development Mechanism enables developed countries to fulfill their commitments in a flexible and cooperative manner, while providing an opportunity for developing countries, not bound to reduce their emissions under the protocol, to participate in the process of global greenhouse-gas mitigation. And immediate promotion of alternative-energy sources, including design and production of such energy systems. The report concluded that internalization of external costs in the real cost of electricity — including the cost of greenhouse-gas emissions — would encourage and justify the higher financial cost of clean-energy production from renewable-energy sources. This, according to the report, would result in additional economic benefits, such as reliability in supply, steady expenditures, improving the balance of payments, developing Israeli technologies and averting the threat of future fuel-price increases. In 2000, Israel noted in its report to the U.N. climate-change conference that the burning of fuels for the production of energy was the country’s main source of carbon-dioxide emissions, and that emissions from this source have continued to grow since 1996. In February 2001, on the basis of the Inter-Ministerial Committee on Climate Change, Government Decision No. 2913 committed Israel to voluntarily reducing its greenhouse-gas emissions, pursuant to its obligations as a Kyoto signatory. Despite all the aforementioned commissions, studies, decisions and reports relating to renewable energies in Israel, the country was still nearly 100-percent reliant on fossil fuels for its energy supply through 2002. That November, the government reached Decision No. 2664 to encourage the construction and operation by private electricity producers of power plants that operate on renewables. The decision included targets for the volume of electricity production using renewable energies. For example, the 2007 target for renewable-energy production was two percent. While policymakers set the goals, they neither designed a national strategy, nor allocated enough money, to achieve it. Eventually, 2007 came and went without even half a percent of renewable energy accounting for electricity production. The National Infrastructures Ministry — today the Energy and Water Resources Ministry — did, however, authorize the construction of a 100-megawatt solar-thermal unit, which was scheduled to begin operating in 2007. The plan included an option to increase capacity to 500 megawatts upon successful performance of the first unit. The plan was soon modified to include two solar-thermal power plants, with a total output of up to 250 megawatts, plus at least one photovoltaic power plant with an installed capacity of 15 megawatts. Ashalim, in the western Negev desert, was chosen as the site of the future plant. But the process has been wrought with delays, due to government failure to issue regulatory permits, to write the electricity-production license, and to formulate financial-aid criteria for the bid winner. One year after the plant was originally scheduled to begin operating, the government announced the public tender for bids. Both domestic and international energy companies were allowed to bid on the project, with the understanding that it would be a build-operate-transfer project, meaning the winning bidder would build the facility, operate it for the period of the license, and then transfer ownership to the state. Infrastructures Minister Uzi Landau, who admitted at the February 2011 renewable-energy conference in Eilat that he was “somewhat embarrassed” about the slow pace of the tender process, also vowed that things were progressing. Yet, to date, the site remains empty, with no indication of when power might begin to flow from it. to take into account external environmental and social costs when evaluating infrastructure projects. to promote research and development of technologies appropriate for implementation of sustainable development in Israel and for marketing to other countries. to investigate methods for determining fees for the use of natural resources for which there is no market price, including calculating the costs of environmental damage, and developing mechanisms for the collection of such fees. An inter-ministerial taskforce was established to oversee the drafting of strategies by the ministries, and since then nearly all ministries have submitted their plans. Most also have met many of their obligations under the plan. The Energy and Water Resources Ministry is a glaring exception, having failed to integrate solar energy into new construction, ensure that 2 percent of Israeli electricity was produced by renewable energy by 2007, and stimulate the renewable-energy research and development necessary to meet future renewable-energy targets. The government’s decision in the early 2000s to make solar-thermal development a higher priority than other solar technologies such as photovoltaic is unique; all other countries that had developed significant solar markets by then had focused on the development of photovoltaic technology, which, unlike solar thermal, is not water intensive. Eventually, however, policies also began to support other types of renewable technologies. This support began in the form of feed-in tariffs — rates that Israel Electric Corporation is required to pay to those who sell electricity produced via renewable energy to the transmission network. These rates reflect the reduction in costs that result from the prevention of emissions of carbon dioxide, nitrogen oxide, sulfur oxide and particulate matters, due to the replacement of polluting fossil fuels with renewable energy. The feed-in tariff was developed by the Public Utilities Authority Electricity as part of a 2004 Energy Master Plan that was commissioned from private consultants. The plan also urged Israel to adopt a major solar initiative that would include the installation of 2,000 to 2,500 megawatts of solar thermal plants in the Negev by the year 2025, starting in 2005. And it recommended the promotion of generating heat, air conditioning, and electricity with distributed solar technologies in the industrial, public, services and domestic sectors. The plan was not entirely adopted by the government, because, among other things, it was not considered reactive enough to adapt to changes in the electricity market, such as the integration of renewable energies. Public Utilities Authority Electricity’s first feed-in tariffs were published for large commercial solar facilities in 2006. They were, however, ultimately deemed to be too low to spur photovoltaic development, and were expanded in July 2008. The new tariff also included residential solar-energy producers, as well as different sized commercial facilities. Soon, tariffs were published for small producers of wind energy as well. The rates are guaranteed for 20 years, but they also are capped. This means that Israel Electric Corporation is only required to buy a fixed amount of electricity produced by each type of renewable energy at the premium price. Critics argue that the measures, as they currently stand, actually stymie photovoltaic growth, because the caps prevent power companies from making a profit and because Israel Electric Corporation has created procedural roadblocks for photovoltaic producers to obtain the required authorizations to connect to the grid. Another complaint is that the government has been inconsistent in its feed-in tariff policies. The tariff has been revised several times since its inception, making it difficult for a company to plan a profitable strategy. And in February 2011, the Finance Ministry froze all new licenses for large solar fields pending a Public Utilities Authority Electricity review of tariffs paid for solar energy. The ministry wanted to reduce the tariff to 0.40 shekels per kilowatt hour from the rate of more than one shekel per kilowatt hour. It said that the high price of generating renewable energy is not worth the benefit, and recommended waiting for the technology price to fall before committing to paying high tariffs. A central component of Israel’s energy policy is the promotion of energy efficiency in the electricity sector. In 2007, the National Infrastructures Ministry — today the Energy and Water Resources Ministry — prepared a new master plan, which set a goal for a 20-percent reduction of energy consumption by the year 2020. Again, however, critics charged that the program did not provide enough operational steps to reach this target. preparation of a national outline plan for the energy market’s infrastructure. Amongst other things, the plan would define conditions for location, construction, and operation of renewable-energy projects. In January 2009, the Finance Ministry’s socioeconomic cabinet set a new target for renewable-energy production in Israel. Government Decision No. 4450 declared that 5 percent of Israeli electricity should come from renewable sources by 2014 and 10 percent by 2020. The plan calls for the construction of three solar power stations in southern Israel between 2010 and 2020 at capacities of 50 to 75 megawatts each, transforming the Negev Desert and Arava Valley into national-preference regions for renewable energy. In a follow-through of the plan, the Renewable Energy Technological Center has been established in the Arava with the aim of promoting Israeli research and development in the renewable-energy field, to encourage private investment in the field, and to help move the Israeli renewable energy market to the global arena. The Ministry of Industry, Trade and Labour put out a bid for establishment and operation of the center, which was won in September 2010 by the Arava Group, a consortium of industry leaders, investment companies, academics, research groups, private-management groups and regional municipalities. The Ministry of Industry, Trade and Labour and the Arava Group have committed to investing about 60 million shekels each through 2015. The Energy and Water Resources Ministry, the Finance Ministry and the Ministry for Development of the Negev and Galilee also are collaborating on the project. In December 2009, one day before the start of the U.N. Conference on Climate Change in Copenhagen, State Comptroller Micha Lindenstrauss presented a report on Israel’s environmental efforts. Findings showed that although the Environmental Protection Ministry spent the better part of the decade formulating a greenhouse-gas emissions reduction plan, it had yet to be put into effect. The report also noted that the Inter-Ministerial Committee on Climate Change that was formed in 1996 was dissolved in 2004 without ever filing its findings. And Lindenstrauss charged that the Infrastructures Ministry’s 2007 energy master plan was never implemented, though the ministry responded that the plan was still being drafted. increase renewable-energy generation by reducing the cost of production for consumers. The document listed potential sites for renewable-energy production facilities, as well as how much of each different type of technology will make up the 10-percent goal and corresponding generation of 2,760 megawatts of renewable-energy production. This takes into account Israel’s plan to decrease energy consumption by 20 percent in the same period of time. Both Israel’s 10-percent renewable-energy goal and its 20-percent energy-reduction goal were named by Environmental Protection Minister Gilad Erdan as the primary vehicles through which Israel will achieve a commitment made by President Shimon Peres to reduce Israel’s carbon dioxide emissions by 20 percent by 2020 compared to a business-as-usual scenario. An amendment to Israel’s Investment Law is lending support to renewable-energy entrepreneurs. The law allows companies to benefit from a corporate tax rate and entitles companies located in priority areas to investment grants of up to 24 percent. The new provision gives local alternative-energy technology providers more flexibility to gain benefits under the law. It also puts into place an accelerated depreciation rate of 25 percent per year for investments in renewable energy research and development and in the manufacture of renewable-energy equipment, or direct investments for the adoption of renewable-energy technology by factories. In late 2010, the government adopted the National Action Plan to decrease greenhouse-gas emissions by 20 percent. The plan included strategies related to energy efficiency, transportation and green building. While renewable-energy strategies also were supposed to be included, they were left out in the end for undisclosed “political reasons,” according to an official at the Environmental Protection Ministry. During that same time period, Infrastructures Minister Uzi Landau signed the first power-purchase agreement for renewable energy in Israeli history. The 250-million-shekel deal with Ketura Sun, a joint venture of the Arava Power Company and Kibbutz Keturah, came four years after the company began to work for it; company owners say bureaucracy, a disorganized system, lack of coordination, and ignorance about renewable energy are to blame for the length of the process, a complaint commonly heard from renewable-energy entrepreneurs. They add that unless the government raises or removes the caps on medium-sized photovoltaic fields, Israel will not reach its renewable energy goal. The agreement commits the government to buying every kilowatt produced by Ketura Sun. The solar field began operation in July 2011, producing five megawatts of electricity. Arava Power Company earns about 1.5 shekels for every hour of energy produced. A New Plan in the Making? The Energy and Water Resources Ministry is once again reviewing its targets, as well as the rest of its energy strategy. The Ministry issued a tender for bids in the summer of 2010 for consultants to create an energy master plan for the Israeli electricity, natural gas, and oil sectors for the next 40 years. The primary purpose of the plan is to guarantee a steady supply of electricity, even during peak periods. It also must address the basic policies of the ministry, such as whether the 10-percent renewable-energy goal by 2020 remains feasible. The ministry also wants to review the issue of whether fourth-generation small nuclear reactors should replace coal power plants. The primary objectives are to diversify Israel’s fuel basket, and to develop all domestic sources of energy, such as natural gas, oil shale, and oil in order to reduce the country’s dependence on foreign sources. And it must take into account environmental costs of energy production when creating models. Dr. Alon Tal is a co-founder of the Green Zionist Alliance. Naomi Lipstein recently completed her master’s degree in environmental studies at the Albert Katz International School for Desert Studies at Ben-Gurion University of the Negev, where she wrote her thesis on energy security and renewable energy policy in Israel. 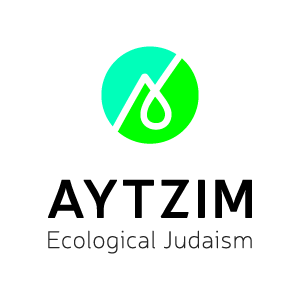 This piece is part of the Jewish Energy Guide, published in partnership with the Coalition on the Environment and Jewish Life. "Here on Earth too God lives, not in heaven alone. A striking fir, a rich furrow, in them you will find God's likeness. Divine image incarnate in every mountain." An estimated 500 million birds migrate through Israel annually.